If you hear ringing in your ears when no external sounds are present, you may be suffering from tinnitus – and you’re not alone. As you get older, the likelihood of developing tinnitus increases significantly. 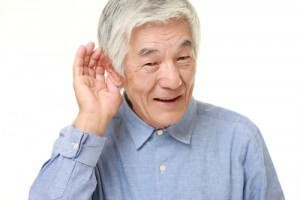 In fact, research suggests that roughly 30 percent of seniors experience tinnitus symptoms. Though tinnitus might sound like nothing more than a nuisance, the condition can significantly diminish your quality of life. Military service. Tinnitus is the leading service-related disability among U.S. veterans. In fact, ATA reports that 9.7 percent of all veterans received disability compensation for tinnitus in 2012. Loud music. If you spent your younger years grooving to bands like the Beatles or the Rolling Stones — either in concert or on your headphones – all of that sweet (but loud) music may contribute to noise-induced hearing loss. Physical injuries and conditions. Physical trauma to the head and neck can induce tinnitus, says Adams. Certain types of tumors, jaw misalignment, and cardiovascular disease can be accompanied by tinnitus symptoms, as can disorders such as hypo- or hyperthyroidism, Ménière’s disease, Lyme disease, fibromyalgia, and thoracic outlet syndrome. Workplace experience. Seniors who have worked in loud environments — such as those found in the agriculture, mining, construction, manufacturing, and transportation industries — have an increased risk of developing tinnitus. Outdoor activities. Seniors who have participated in hunting, motor sports, or other activities with repeated exposure to loud engines are at increased risk for tinnitus symptoms. Medications. Some medications can be harmful or damaging to the ear, or produce tinnitus as a side effect without damaging the inner ear, says Adams. History of depression, anxiety, or obsessive-compulsive disorder. While these behavioral health issues do not cause tinnitus, they can exacerbate symptoms. Currently, there is no cure for tinnitus, but the condition can be managed by treating its underlying causes or by altering patients’ reactions to it. Tinnitus treatments include masking devices, which produce a continual low-level noise to cover up the tinnitus sounds, as well as hearing aids, which can be helpful for seniors who are also struggling with hearing loss. One of the most promising developments in the treatment of tinnitus is sound therapy, says Adams. A wearable device delivers individually programmed tonal music that engages the auditory pathways to promote neural changes. Over time, she says, these changes help the brain filter out the tinnitus perception, which reduces tinnitus disturbance and provides long-term relief from tinnitus symptoms. The results are promising. According to Adams, Neuromonics devices have produced a clinically significant reduction in tinnitus disturbance (50 percent or more) for more than 90 percent of suitable patients in a formal clinical trial setting. One study at the Veterans Administration hospital in Hollywood, Florida, revealed that 96 percent of patients reported a reduction in their tinnitus distress by 40 percent or more. “With advances in research and development in the past decade, more effective treatments are available,” says Adams.